Started in the year 2007 as a real estate business by Mr.Ln.T.V.Saravanan under the name of VSS Enterprises, we later re branded as SS3 Promoters and builders in the year 2013 after an exponential growth with over 112+ successful land projects and 8 building projects completed till date. 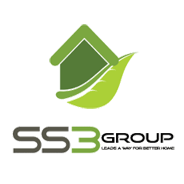 At SS3 Group, we dedicatedly work to assist the people of Chennai who don’t have experience in the field of real estates in choosing good plots and the nearby regions with real estate decisions. Whether you want to buy property, sell a home, or a shop, we can help you with almost any real estate issue.